The Igbo people live in all parts of Nigeria, but are the big majority of the population (over 90%) in five states: Imo, Anambra, Abia, Enugu and Ebonyi. They also constitute large minorities in Rivers and Delta States. The "Anioma" area consists of the northeastern corner of Delta State encompassing the Aniocha, Ukwuani and Ika peoples. 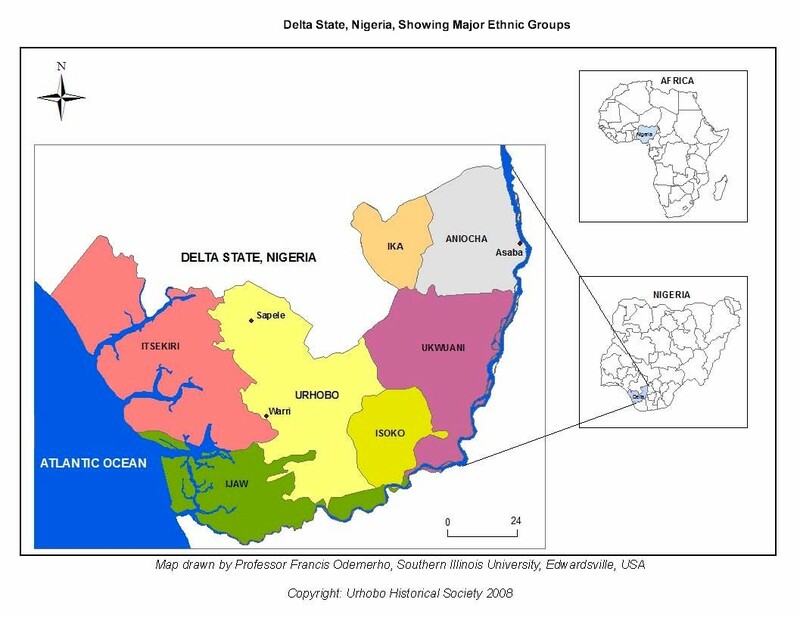 These three ethnicities are all considered subgroups of the Igbo, as opposed to Delta's other nationalities, the Urhobo, Itskiri, Ijaw and Isoko, who speak distinct languages. Anioma Igbo are set apart from the mainstream of Ala Igbo not only by the Niger River but by varying shades of cultural influence from their neighbors to the west and south. It's hard to say if there is a distinct "Anioma Sound," despite the title of this post. One might discern a certain directness to the music of the area, as opposed to the relative subtlety of Igbo music east of the Niger, but I stress the relative nature of this comparison. After all, no one would call the music of Owerri's Oriental Brothers subtle! Chief John Okpor may be just another obscure musician from the recesses of Delta State, but he's made a great recording here. Side One of Ife Nunoku Na Ju Oyi (Franco Records FMCL 003) doesn't let up until about two-thirds of the way through, when the title track segues into the slower-paced "Egwu Nde Oma." When Priscilla was back home in Nigeria in 1989, she saw the band members unloading boxes of this LP out of the back of a truck. Of course, she knew I'd want a copy, and what a discovery it is! Eric Obodo heads up the Reformed Eti-Oma Dance Band, and their fast-paced sound is reminiscent of the Camerounian bikutsi style exemplified by groups like Les Veterans. 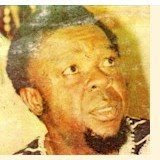 The album is Ogbuefi Moses Okom (Mone MRLP 008). This post has been delayed because Priscilla and I just haven't had time to sit down and do translations of the lyrics (the fact that these songs are mainly in the Ukwuani dialect makes this more difficult), so I'm just going ahead and posting anyway. If there is time I will update it later. In "The Anioma Sound Pt. 2" I'll be posting songs by Charles Iwegbue, Roganna Ottah and others.